The board layout is tight but very doable. It is designed to fit easily in a 1590BB enclosure and also will fit on the expresspcb’s cheapest prototype service fixed size 2.5 x 3.8 board (3 boards for $59.00 delivered ). The Blue LED I use has a very high turn on voltage of more than 3V. If you use another type, R13 will definitely need to be increased perhaps to 2.2k or greater. The part I used is from Digikey and the part number is OVLLB8C7. The design uses 9mm alpha pots mounted on the back. Others can be used just connect wires to the pin connection holes on the board. Very minor mods to decrease to speed of the LFO. Just changed C8, C10 and R11. Also R30 is now 100K to make the bypass function correctly. I have done some work to improve the basic Ring Modulator schematic of the previous post to make it much cooler. 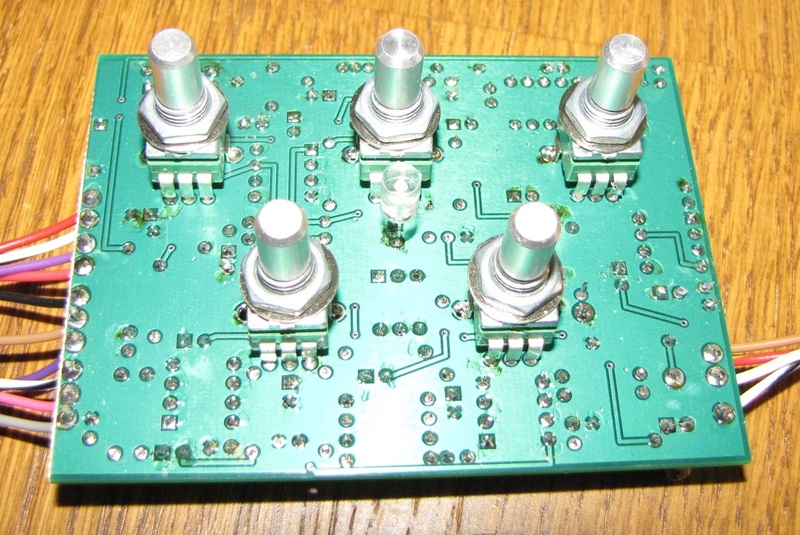 I have added a 5 pole variable low pass filter with voltage controlled low frequency modulation. You can easily separate the sum and difference products at the output. 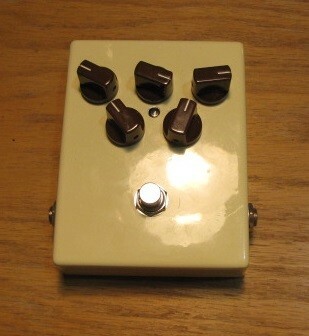 With this you can get some incredible sounding low frequency drones and other effects. It also produces some very nice analog synth sounds. I am working on a layout of the prototype and may end up optimizing some values here and there. The breadboard version works well but there is a little modulation leakage at the high end. Hopefully a well grounded layout will solve this. 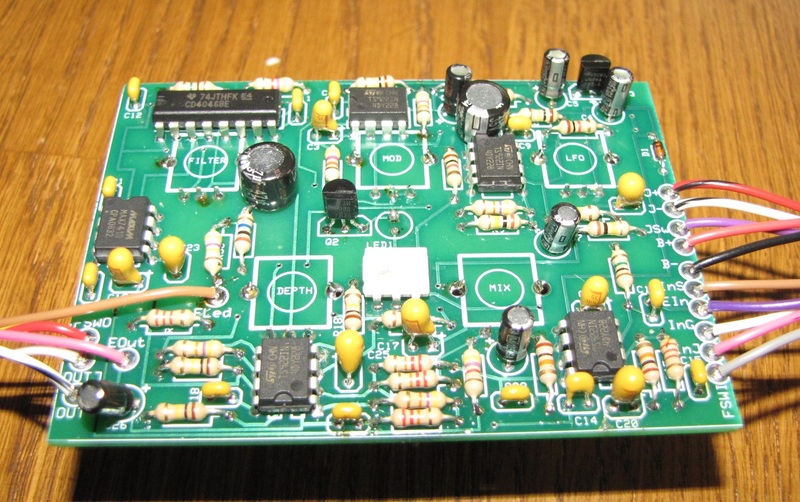 The design uses a TS922 op amp because it has great specs and is cheap but others will work. I do not recommend the TL072 because the headroom is so bad at 9V. The Demo Video shows me fiddling with the controls on the breadboard prototype and just noodling some random lines. It conveys just a few of the different sounds you can generate.